This song marked Ndombe Opetum’s glorious return to TPOK Jazz. He had joined the band in 1975, then left in 1984 on a sojourn in which he formed a band known as Tiers Monde Cooperation along with Sam Mangwana and Empopo Loway. When the band folded, he went solo before rejoining Tabu Ley’s Orchestre Afrisa in 1987. After his stint with Afrisa, he rejoined Franco’s TPOK Jazz much to the delight of TPOK Jazz fans. He marked his return with this song Angela and a second track (Tawaba). The songs were released around the time of Franco’s passing in 1989. The song Angela is about a long lost love. 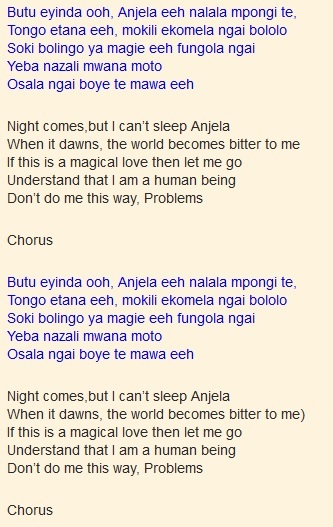 The theme of the song is Ndombe Opetum pleading with Angela to come back or at least get in touch with him. 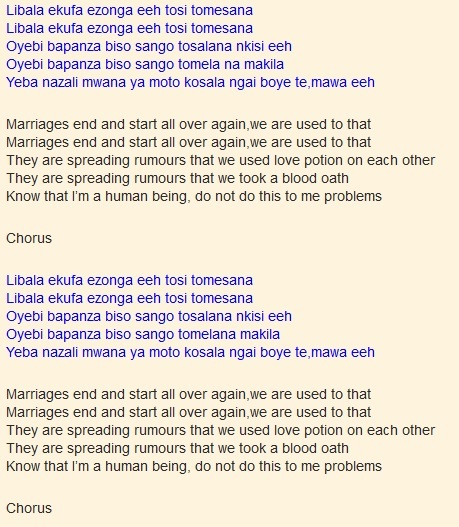 This entry was posted in Franco & TPOK Jazz songs, Songs, TPOK Jazz songs and tagged Bana OK, Ndombe Opetum, Ndombe Opetum songs, TPOK Jazz. Bookmark the permalink.